I’m gradually scanning my railroad memorabilia collection online at streamlinermemories.com The dome lounge, below, ran on several of Santa Fe’s streamliners. 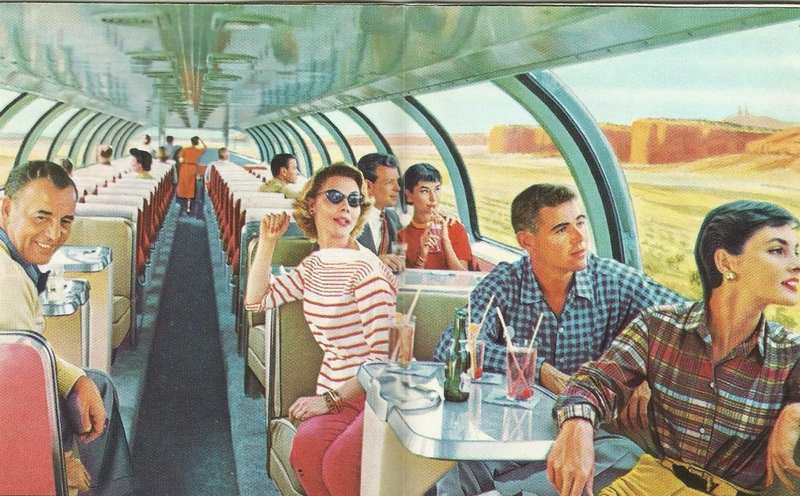 Photo/drawing from a Santa Fe Railroad brochure published in 1960. This entry was posted in Ads from the 1940s and '50s, trains and tagged Santa Fe. Bookmark the permalink.